I used to struggle with the fact that I have a large appetite, love to eat food and am pretty much always hungry BUT I also want to be fit and healthy. Oh the conundrum. I didn't think you could have both. My mindset was more food = gain weight and less food = lose weight. So, I would act accordingly. Oy, what an exhausting way to live! But..ahhh, how the times have changed. Because of girls like Caroline Deisler, (who has a whopping 292K followers on social media and a successful blog where she shares her holistic wisdom, favorite vegan recipes and fitness routines) I became inspired to try out a vegan diet. Obviously she is gorgeous, her hair is thick and her skin is glowing BUT I was drawn to her positive relationship with food and how she eats literally all day and instead of food being a burden, it nourishes her body and gives her the energy she needs to work, study, travel and exercise. Understanding that you can eat in abundance if it's the RIGHT kind of foods and food's purpose was more than just weight gain or loss and it's actually meant to feed your cells was life changing. (I honestly didn't know that eating junk food was bad for your organs; I just thought it made you fat.) No more diets, ever! Making the lifestyle change about two years ago to become vegan and fill my bod with whole foods has been the greatest period of growth for me. And I really owe it to women like Caroline who are showing us that food is our friend and our bodies are not a burden! Hey I´m Caroline! I am a nutritionist and business student living in London. 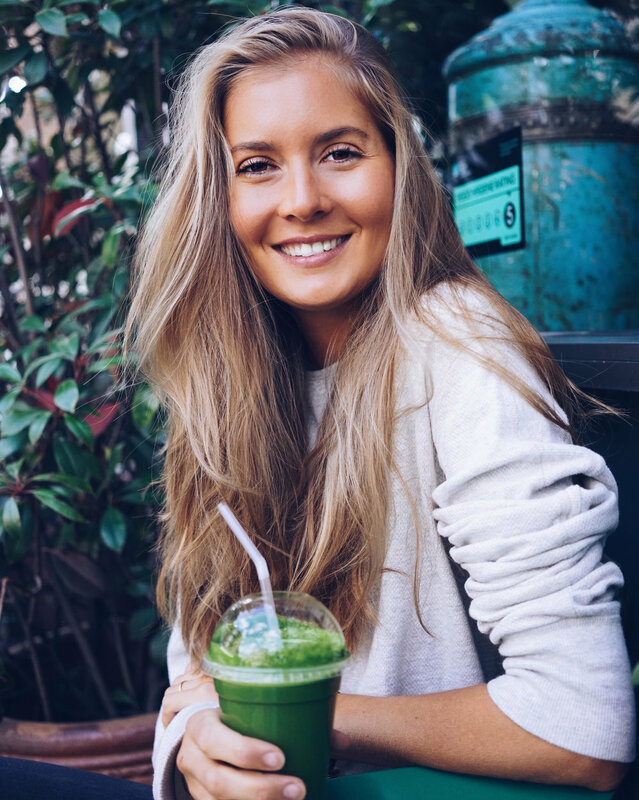 I started my healthy lifestyle blog Caroline´s Choice in May 2016 with the aim to inspire others to live a healthier life by showing them how delicious and easy a plant-based diet can be. Most girls have been on a diet at least once in their life and don't find healthy eating easy, fun or delicious. I have always been a huge fan of eating an abundance of fresh whole foods and turned vegan 3,5 years ago. What’s the one beauty product you can't live without? Focus on adding the good stuff and eating enough. :-) If you don’t eat enough on a high carb vegan lifestyle you won´t be satisfied. The key is to always eat as much as you want to make it sustainable. It´s not a diet, it’s a lifestyle which means you want to be able to do it forever and therefore it has to be satisfying. Yes! Working out regularly, eating mostly whole fresh foods, going to the steam room a few times per week and getting a massage once a week. :-) Massages are my favorite thing in the world!! I also love to do Cryotherapy and Colonics every now and then. What's the biggest change you've seen/felt since adopting a plant based diet?